I was always in love with audiobooks, but now I am loving podcasts even more! Especially podcasts about money. 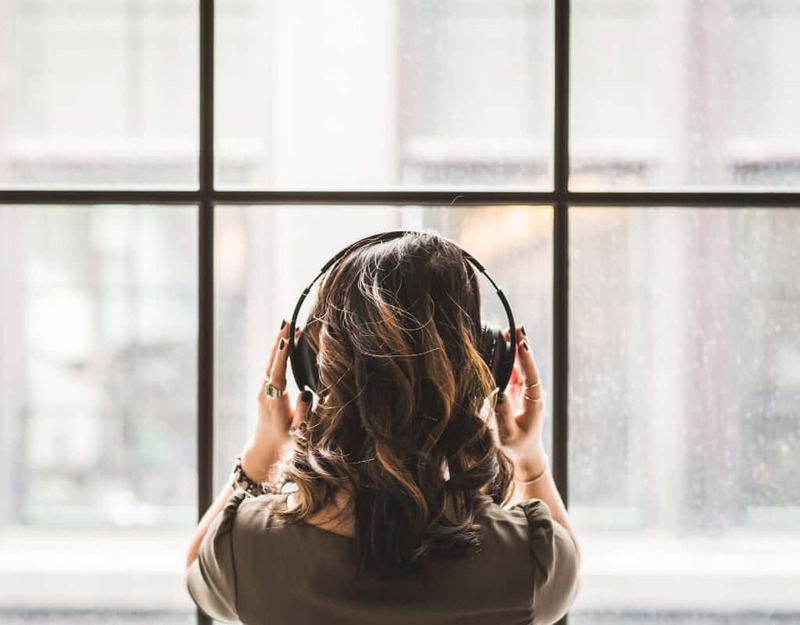 Why personal finance podcasts? Because they are free for one, and they are super motivational and educational all at once. RELATED: If you’re interested, check out How to Listen to Audiobooks for Free! If you spend any time commuting than podcasts are a great way to get some learning and motivation in. They are also great for listening while exercising or cleaning the house. Not familiar with how to listen to podcasts? I use the podcast player on my iPhone to subscribe to them, but you should be able to use any podcast player or visit the website of the podcast for more ways to listen to them. On the iPhone its a purple icon that says podcasts and should be on your phone by default, if you don’t see it do a search or download a free podcast player. I also link to the website of some of the podcasts on the list in case you want to listen to them right from there most have them available online. So if one looks interesting just search for it in your favorite podcast player and start listening. Let’s get to the list! I did not put these in any particular order but all of them are ones I subscribe to or just recently added to my list. If you want some motivation to get out of debt then this is definitely the podcast for you. Dave Ramsey is the author of The Total Money Makeover and creator of Financial Peace University and he will tell it to you straight. This podcast is really a radio show where regular people call in and ask questions and get advice. One of the parts of the show that I find really motivational is when people who have become debt free using his methods and advice, call in or go to his office to do their “debt-free scream.” These stories are amazing and so motivational. To hear that a couple making $60,000 a year was able to pay off $20,000 in debt is inspiring and will keep you motivated to pay off your own debt. I could go on and on about this podcast so if you listen to just one podcast this would be my recommendation. I found Chris Hogan through Dave Ramsey since he is part of his team and I am glad I did. Subscribe to this podcast if you want to stay motivated and learn how to create the retirement you have always dreamed of from America’s voice on retirement. You can also download free resources from each episode to help keep you on track! Host Farnoosh Torabi is an award-winning financial strategist, TV host, and bestselling author. Her podcast brings inspiring money strategies and stories straight from today’s top business minds, authors and influencers. You can find out more about Farnoosh or submit questions to her via her website for the podcast: www.SoMoneyPodcast.com. 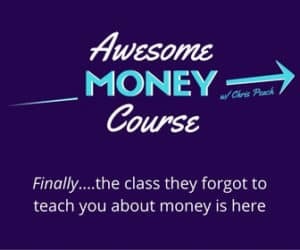 Creator and Award-Winning Blogger, Chris Peach, creator of The Awesome Money Course, shows you exactly how to HAPPEN TO YOUR MONEY instead of your money happening to you. This is the show where you will actually learn something that you can take with you and implement right away. 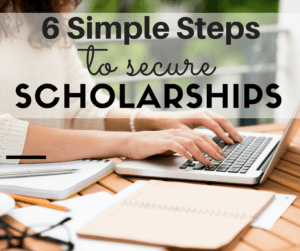 It’s about showing you the STEP-BY-STEP, COMMON-SENSE, and sometimes the in-your-face reality check, when it comes to BUDGETING, PAYING OFF DEBT, SAVING MONEY, BUILDING WEALTH, and all the little tips, tricks, and ideas along the way. 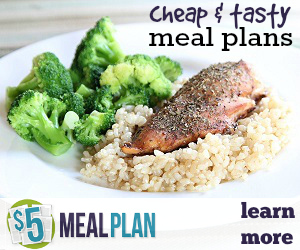 Laura Adams is the writer and host of the top-rated Money Girl Podcast on Macmillan’s Quick and Dirty Tips Network. Laura gives actionable advice and tips that fans can put into practice immediately following each show. Her personal mission is to help listeners Live Rich and Love the Journey with her. I really like her podcasts and find her advice easy to follow and to implement without being overwhelmed. In this podcast, the hosts Talaat and Tai McNeely help you find the balance between managing your money, your marriage and everything in between. They discuss numerous personal finance topics such as debt elimination, money-saving strategies, budgeting, credit repair, and more. The Money Nerds podcast is hosted by Whitney Hansen. Whitney interviews everyday people with weird, unique, and amazing money stories. She shares stories of people who are on their way to financial independence, people who are paying off a ton of debt, people who are saving more money, or even starting a business. Stacking Benjamins is a magazine-style podcast. While each episode is just over an hour long, rarely will a segment run longer than 10 -15 minutes. Don’t care for a particular topic? Wait a few minutes, and they will be on to the next topic. Nationally-syndicated consumer expert Clark Howard shows you practical money-saving ideas to help you Save More, Spend Less, and Avoid Ripoffs. I really love the diversity of this podcast. Clark really goes into everything about money and he is very realistic and just a real joy to listen too. He also takes calls from real people and helps them on the air and off so check him out. I listen to him pretty much weekly because he tends to talk about current events and money related topics and scams to be aware of. The marriage, kids, and money podcast is run by Andy Hill of marriagekidsandmoney.com and on the podcast, Andy explores personal finance topics to help you strengthen your family tree and live financially free. 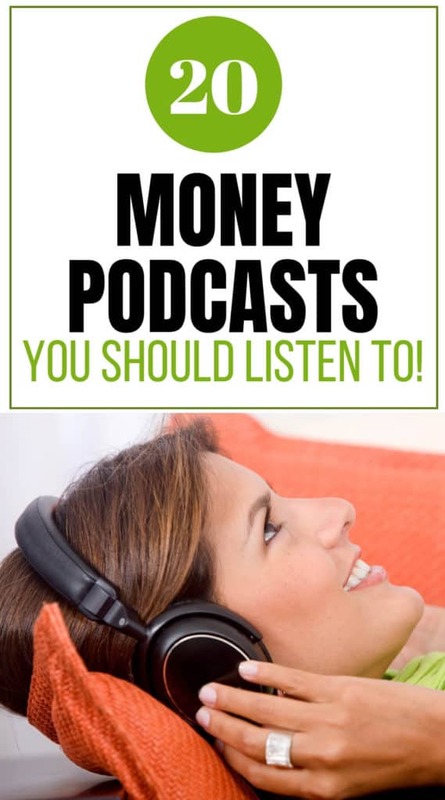 HerMoney is a podcast by money expert and author of Women with Money Jean Chatzky. Jean Chatzky helps women live comfortably (and worry-free) tomorrow, offering the latest research, expert tips, and personal advice. Rachel of Cruze is the daughter of Dave Ramsey and author of Love Your Life Not Theirs. On her podcast, she talks about practical tips on how to save more money, get out of debt quickly and make progress toward your goals. You’ve probably heard of the term financial independence and maybe even the term FIRE (financial independence retire early). If you’re interested in learning more about how you can get to financial independence sooner rather than later then this is the podcast for you! Hosts Jonathan Mendosa & Brad Barrett talk about everything from reducing expenses and crushing debt to building an online business and investing in real estate. Mo’ Money is hosted by millennial money expert Jessica Moorhouse. Jessica interviews top personal finance & business experts, celebrities, as well as entrepreneurs, authors, bloggers, and friends. This is a twice weekly podcast from Emma Johnson of wealthysinglemom.com. She has candid conversations on money, business, career, parenting, feminism, dating and more. Elle Martinez discusses how to build your net worth and your marriage by helping you create a financial system that works for both of you. Each episode tackles a topic that couples deal with such as paying off debt faster, saving for the future, investing smarter and retiring earlier. Journey to Launch is hosted by Certified Financial Education Instructor, blogger, and money coach Jamila Souffrant. 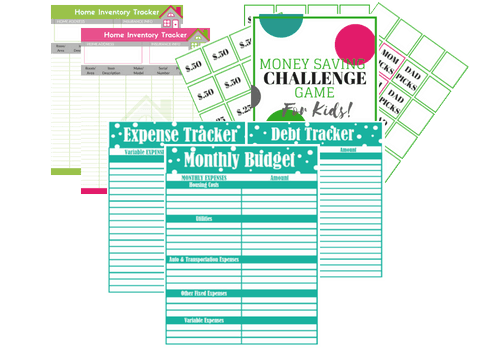 She helps you find clarity around your finances ad create an actionable plan to reach your goals. I just added this one to my list and can’t wait to dig in! Radical Personal Finance is hosted by financial planner Joshua Sheats. He teaches people how to live rich now while building a plan for financial freedom in 10 years or less. I found this podcast after hearing Joshua on another podcast. I am just now getting around to listening to it and will probably binge watch a few episodes. Ric Edelman author of The Truth About Money teaches you about investments, IRAs, retirement planning, mortgages, insurance, college planning and more. Host Shannon McLay is a successful entrepreneur and personal finance expert who helps people get financially fit. In each episode, Shannon shares a martini (or something similar) and discusses money and careers very casually. With tax season in full effect, I wanted to get a better understanding of any tax scams that may be out there and how we can avoid them. If you’ve ever been a victim of a scam or identity theft or know someone who has then you know it can be devastating! Scams can result in a huge loss financially and can cause a tremendous amount of stress. Scammers are out there thinking up new ways to scam people and I want you to be aware! Since I’m not an expert in that field I brought one in to help us all learn what to look out for. Expert tips by Mike Savage, CPA, and CEO of 1-800Accountant. Tax day is fast approaching and scammers are out in full force seeking ways to take advantage of Americans. In 2018, the IRS recorded a 60% increase in bogus “phishing” email schemes that tried to steal Americans personal data and money. 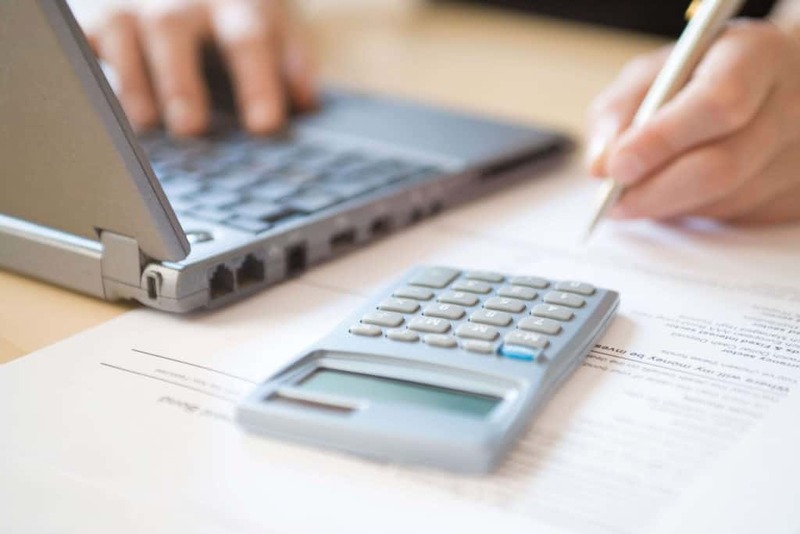 To help taxpayers avoid being taken for a ride, we here at 1-800Accountant wanted to spotlight some of the top tax scams from both shady accountants and professional con artist’s so that you don’t get taken advantage of this year. Tax time brings extra activity among thieves looking for Social Security numbers and other personal information that allows them to falsely claim refunds. Taxpayers should be alert to tactics aimed at stealing their identities, not only during the tax filing season but all year long. The IRS does not e-mail you or direct you to websites regarding any bill without prior contact. Do not be fooled by e-mails encouraging you to click on links to a site in reference to your tax bill; the website may be a fake, designed to gain your personal information. Taxpayers should be alert to potential fake emails or websites looking to steal personal information. The IRS will never initiate contact with taxpayers via email about a bill or tax refund. Don’t click on one claiming to be from the IRS. Be wary of emails and websites that may be nothing more than scams to steal personal information. Con artists sometimes impersonate IRS agents and threaten arrests, deportation, and other unpleasant outcomes unless a bill is paid immediately over the phone. No matter what horrible things you think about our tax system, the IRS does not do business this way. Never give out your personal information over the phone unless you initiated the call and are sure you are dealing with a real IRS agent. Phone calls from criminals impersonating IRS agents remain an ongoing threat to taxpayers. Some tax preparers bend the rules in order to get the highest refund possible for a client. Unfortunately, once the taxpayer signs and files the return, he or she is responsible for any errors. If you choose to have others do your taxes, be sure to use a reputable tax preparer. The vast majority of tax professionals provide honest, high-quality service. There are some dishonest preparers who operate each filing season to scam clients, perpetuating refund fraud, identity theft and other scams that hurt taxpayers. Anyone who promises a big refund without looking at your records first should be avoided. If it sounds too good to be true, guess what? It is. Those preparers who ask clients to sign a blank return, promise a big refund before looking at taxpayer records or charge fees based on a percentage of the refund are probably up to no good. To find victims, fraudsters may use flyers, phony storefronts or word of mouth via community groups where trust is high. Before making a donation, check the IRS website to make sure it is going to a qualified charitable organization. Look for knockoff organizations with names, websites, and logos that are similar to well-known legitimate organizations. Groups masquerading as charitable organizations solicit donations from unsuspecting contributors. Contributors should take a few extra minutes to ensure their hard-earned money goes to bona fide charities. Scam artists can suggest bending the income rules to qualify for tax credits that target lower-income taxpayers, such as the Earned Income Tax Credit. Do not give in to their claims. Never falsify income on a tax return for any reason, regardless of what anybody tells you. Taxpayers should file the most accurate tax return possible because they are legally responsible for what is on their return. This scam can lead to taxpayers facing large bills to pay back taxes, interest, and penalties. By using complicated but authoritative-sounding language, tax scammers can fool people into thinking tax shelters are legitimate when they are not. Seek independent confirmation and outside advice on any scheme designed to limit or avoid taxes. Abusive tax structures are sometimes used to avoid paying taxes. The majority of taxpayers pay their fair share, and everyone should be on the lookout for people peddling tax shelters that sound too good to be true. When in doubt, taxpayers should seek an independent opinion regarding complex products they are offered. The IRS is too busy to waste time listening to your claims of being a sovereign nation and therefore enjoying immunity from taxes, or any similar outlandish claims on tax returns. Frivolous tax returns incur a $5,000 penalty, and failure-to-file penalties can end up being even worse. Frivolous tax arguments may be used to avoid paying tax. Promoters of frivolous schemes encourage taxpayers to make unreasonable and outlandish claims about the legality of paying taxes despite being repeatedly thrown out in court. Do you love reading but can’t afford to buy book after book? Books can get very expensive, so to feed your love for books you have to know where to get free books! 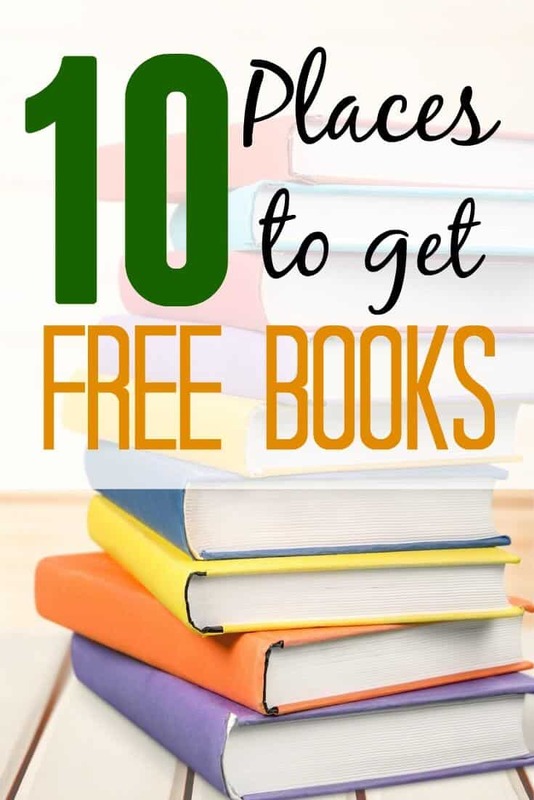 Below I am going to share with you 10 ways to get free books. If you love physical books it’s a bit harder to find free ones but if you’re willing to switch to ebooks and audiobooks you will have endless options! Oh, and you don’t even need a Kindle (or any e-reader) to do so! That’s right; there are many free e-reader apps and programs available to be able to read the many different formats of ebooks out there. Since Kindle ebooks are the most popular I use Amazon.com’s FREE Kindle Reading App which works on most devices. If you utilize this list, you will end up with a FULL digital library and maybe a few physical books as well. Free-Ebooks.net gives you Unlimited access to all the Free Ebooks you want. Also, they now offer Audiobooks too! 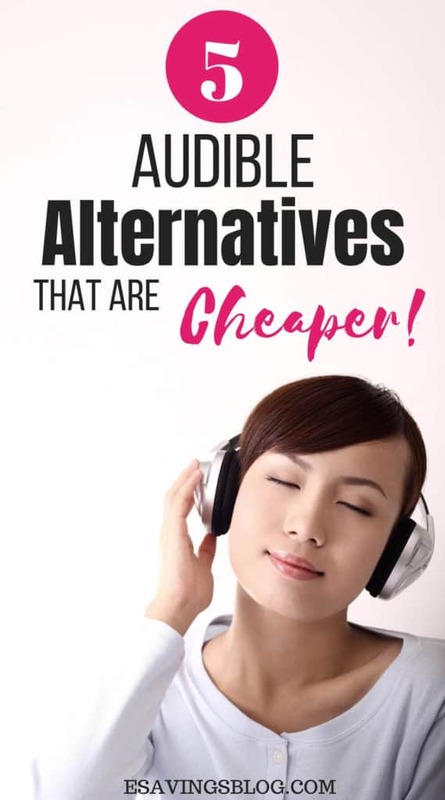 If you’re a huge audiobook listener you will want to check out my article on cheaper alternatives to Audible. You can register at NO cost for a Standard Membership to read books online in any Internet Browser and download up to 5 eBooks in PDF format every month. They’ve got thousands of books, fiction, and non-fiction, for you to choose from. Or, if you want Unlimited Access and Unlimited Downloads for ALL formats for any Ebook Reader, including Amazon’s Kindle, BN’s Nook, SONY’s Reader or, of course, Apple’s iPad, then you can enroll in a V.I.P. program for a nominal donation to get complete “1st Class” treatment. PaperBackSwap is an online book club for people over 18 with US mailing addresses. They share books with each other using the US mail. Each book you send gets you a book credit to order any available book for yourself. You pay postage for books you send; they pay postage for books you receive. Simple. BookBub is a free service that helps millions of readers discover great deals on acclaimed ebooks. Members receive a personalized daily email alerting them to the best free ebooks and deeply discounted titles matching their interests as selected by their editorial team. BookGorilla is a free site you signup for that will deliver a single daily email, tailored to your personal reading preferences, featuring the best deals on the best Kindle ebooks, either completely free or at deeply discounted bargain prices. Project Gutenberg offers over 53,000 free ebooks: choose among free epub books, free kindle books, download them or read them online for free. Manybooks.net library contains more than 33,000 free ebooks formatted for Kindle, Nook, and most other e-readers. You can also access an HTML version of the books to read online. Open Library is a project of the non-profit Internet Archive, and has been funded in part by a grant from the California State Library and the Kahle/Austin Foundation. They have over 1,000,000 books you can read online or borrow. If you have Amazon Prime you now get access to the NEW – Prime Reading where you can enjoy unlimited reading on any device, with over a thousand books, magazines, comics, articles, Kindle Singles, and more. You can check it out here. If interested you may want to check out my article on whether Amazon Prime is worth it. Or grab a free 30 day trial. This is probably the most common and obvious place but most people forget about it. Visit your local library and grab a good book to read. I wrote an entire article on how to use the Libby app to get free audiobooks and ebooks. The Libby App allows you to borrow books and audiobooks instantly, for free, using just the device in your hand. This is one of my favorite ways to get books. I use this method along with Scribd to listen to tons of audiobooks each month. Did you like this list? Share it with your friends by using the sharing buttons above and below this post. Have a place you get free books that you want to share? Leave a comment below. This article was originally part of The FREE STUFF SERIES. You can find more form that series below. Looking for an alternative to Audible? Audible is a great service but if you’re on a budget it’s something you may want to cut out especially because there are cheaper alternatives out there. But first, let’s go over a few features of Audible so that you can compare the value to the alternatives. Audible has over 180,000 audiobooks, I haven’t come across a book they don’t have. Audible is $14.95 a month and includes one credit to redeem for one audiobook each month. Members also get to pick 2 Audible Original titles from their monthly selections. You can purchase additional audiobooks at an additional cost. 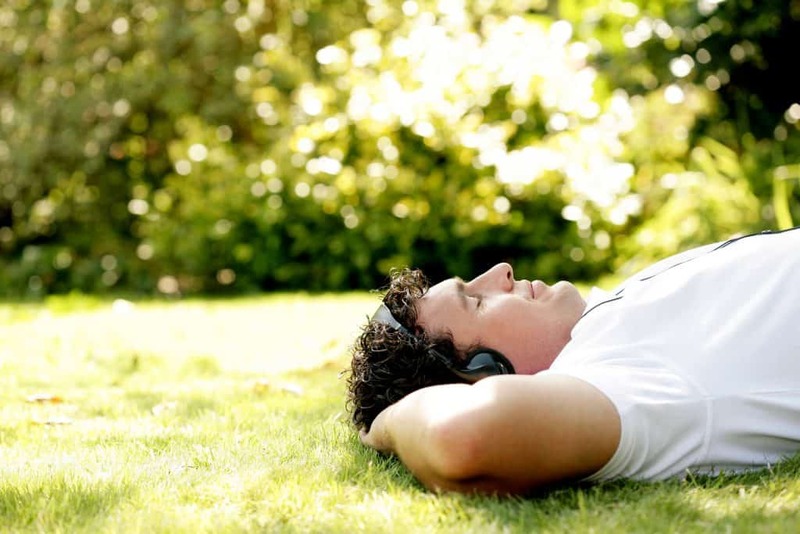 When you purchase audiobooks, they are yours to keep even after your membership ends. If you want to get a feel for Audible (or just get two free audiobooks) you can take advantage of the free trial. You can get two free audiobooks with your trial by using my affiliate link. Frugal Hack: Want to get a deal on your Audible Membership? Grab the free trial to get two free audiobooks and once you go to cancel your membership before your trial ends, Audible will USUALLY offer you a big discount if you stay! Grab the FREE AUDIBLE TRIAL. Ok so now what about your other options. How do they compare? When looking for another option besides Audible you will want to look at not just the monthly membership prices but also what is offered and whether or not it meets your needs. For instance, some options will offer audiobooks, ebooks, magazines, etc. for one monthly price but if you cancel your membership then you no longer have access to the ones you downloaded. If you never read a book twice then this should be fine but if you want to keep a book forever then this would not be an option for you. I’ll go over these in the summary section of all the Audible alternatives. So what are some cheaper ways to to listen to audiobooks besides Audible? Let’s get to the list! I love this Audible alternative! It’s super affordable at just $8.99 a month and you get access to an unlimited number of books, audiobooks, magazines, and more (with a few title exceptions)! With Scribd, you have access to unlimited books, audiobooks, and magazines as long as you’re a member. Meaning you never actually own the books but you can keep them as long as needed while being a member. I was able to download 4 audiobooks and dig right in as soon as a joined. I loved that most of the books I’ve been wanting to listen to were available right away. No need to wait for any credits or pay extra! Want to give it a test run? You can grab 2 Months of Scribd Free if you use my referral link here. If you can sign up without my referral link you only get 30 days free. What’s Included in the Price? The $8.99 gives you unlimited access to everything as long as you’re a member. Free Trial:? Yes, 30 Day Free Trial OR 60 Days FREE using my referral link here. ***If you sign up for Scribd using my link, feel free to leave a comment on this article with your referral link! Book Access: You do not keep the books if you cancel your membership but you have access to as many as you like as long as you’re a member. AudiobooksNow is a service for downloading and streaming audiobooks. 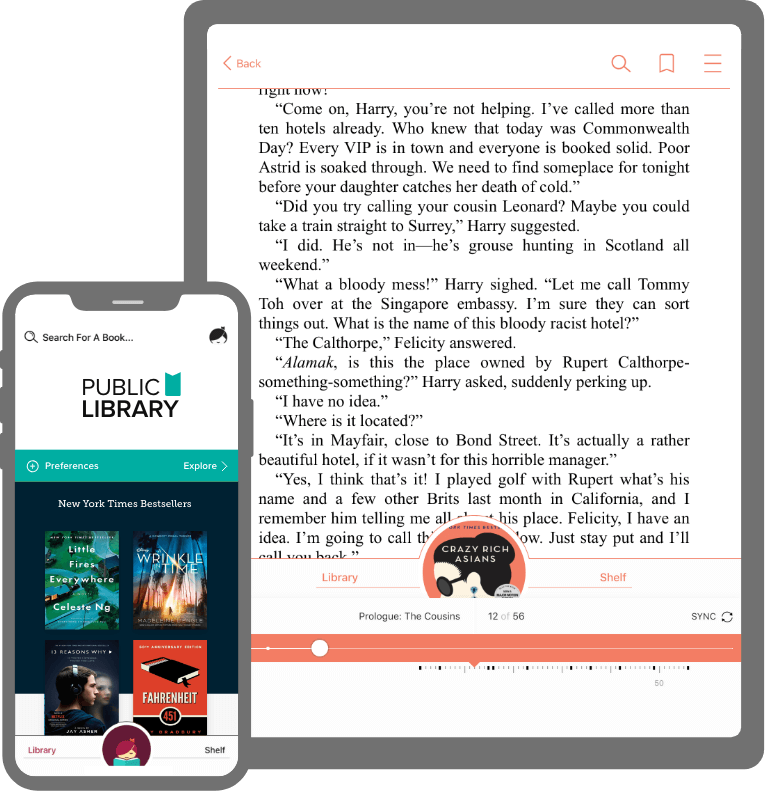 You can stream or download audiobook purchases from their website, or download them to their free app as well as many other ways to listen. AudiobooksNow can be used with or without a membership. With the AudiobooksNow Club Pricing Plan membership, you can save 50% off your first audiobook purchase and 35-40% off each additional purchase each month. Or you can simply purchase your audiobooks at their every day low prices (no plan required) if you don’t want to pay a monthly fee. What’s Included in the Price? The $4.99 membership fee will give you 50% off of your first audiobook each month and discounts on the rest of your purchases. Free Trial? Yes the trial only waives the $4.99 a month so you will still need to purchase your first audiobook at the 50% off price. Book Access: You own your books once you buy them and you can access them after your membership ends. Downpour offers digital downloads—with or without a membership. They also offer digital rentals, and CDs & MP3-CDs. With the Downpour Audiobook Club, you’ll receive one credit per month, good for one digital download for $12.99. You can purchase additional credits at any time with no added commitment. Their titles are DRM-free (no digital lock) so you can listen to them on as many devices as you wish, with no hassle. What’s included in the price? The $12.99 a month gives you 1 credit for a book each month. Free Trial? I did not see that they had a free trial but I will update if I find one. 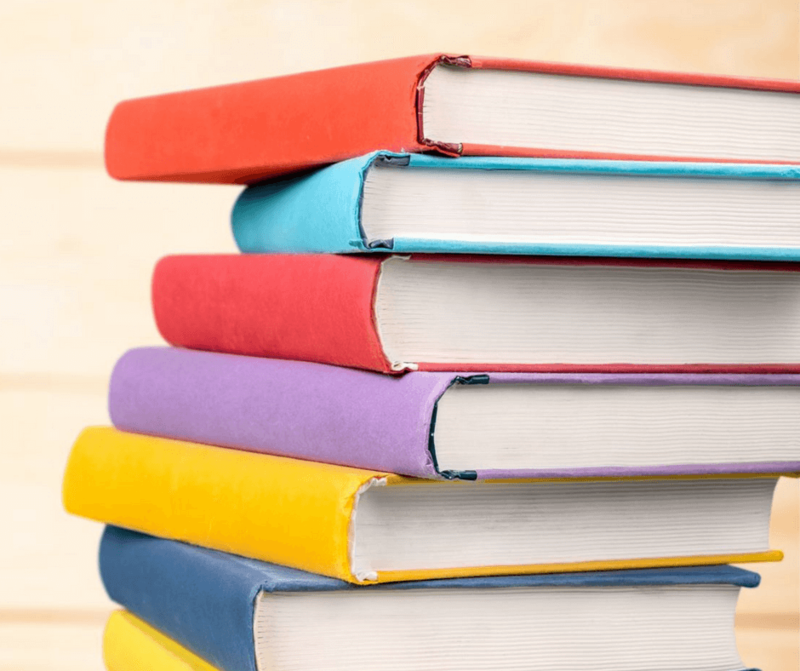 Book Access: The book titles you purchase will always be available and can be re-downloaded as many times as needed even if you cancel your subscription. Kobo is another affordable option at just under $10. I haven’t tried this option myself but it looks like a good one. Kobo is a Walmart service. With Kobo you have access to exclusive content including Kobo Originals as well as popular titles. They also offer ebook deals for as low as $1.99. You can create a free account to make single purchases or join their audiobook membership. What’s included in the price? For $9.99 a month you get access to one free audiobook of your choice regardless of price. You also get access to exclusive and original content. Free Trial? Yes, your first 30 days are free, including a FREE audiobook. Book Access: You get to keep all your audiobooks forever, even if you cancel. This Audible alternative is somewhat limited but it’s also free! I wrote a whole article about how to get free audiobooks using the Libby app by Overdrive. Libby is an app that works by connecting it to your library card so that you can digitally borrow books from your library. I love the Libby app (by Overdrive) but the one main limitation is that you have to wait for audiobooks to be available to borrow since its a library system. Also depending on what library you’re attached too (you can add as many as you like) you may not be able to find the book you’re looking for especially in it’s audio version. I was using Libby exclusively until I found Scribd. I loved it because it was a free option to Audible but because I consume lots of audiobooks I found Scribd to be a better option as its instant and I don’t have to wait for titles to be available. Questions? Comments? Which one of these do you like? Do you have one you would like to share? Leave a comment!